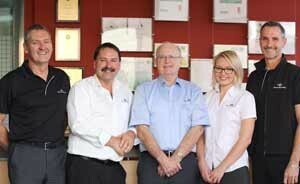 Atlanta-based Rollins has acquired Murray Pest Control in South Australia. The acquisition closed March 1 and continues Rollins’ expansion in Australia since entering the country in 2014. Established in 1957 and headquartered in Adelaide, Australia, Murray Pest Control is a family-owned business and serves South Australia using a mix of company-owned and franchise operations. It provides traditional residential, commercial and termite service offerings. Peter Scott Sr. is the company founder. His sons Peter Jr., Trevor, Gary and close business associate Neil Gratton will remain involved in the company.